We absolutely love what Instagram user Katie Adie did with her plain pair of white sneakers. 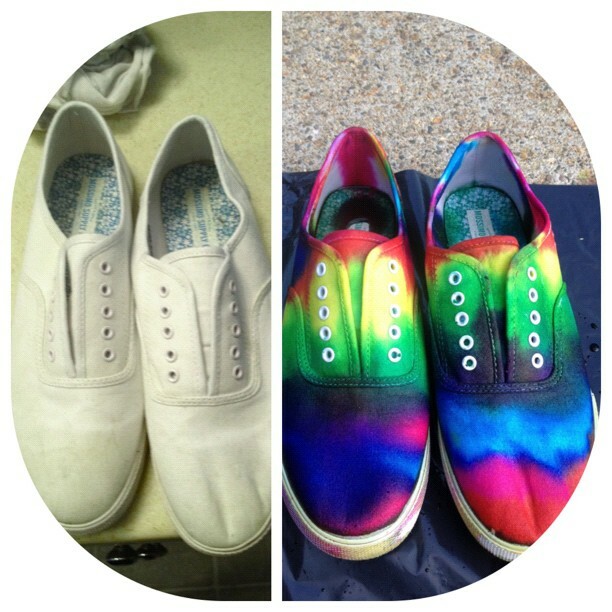 She used one of our Tulip One-Step Tie Dye kits to turn them into a vibrant pair of rainbow kicks! You can pick up the kits at your local Wal-mart, Michaels, JoAnn, Hobby Lobby, ACMoore, Hancock or other craft or fabric store! Here's a couple tips for using the Tulip One-Step dye on shoes you want to paint with dye! – Use a foam brush to brush on the dye instead of squeezing it on. This way, you won't get the dye on and inside the entire shoe. You'll just get it in the area you want it to go! – The dyes will blend and run together, so you probably won't get two exact lookalike shoes. Part of the fun of tie dye is the unique look you get with each project. So don't get too stressed if they don't look 100% exactly alike! They'll still look great and get you a LOT of compliments! – Make sure to remove your shoelaces before you do this project. You might want to even dye your shoelaces separately to match your shoes. – When you are done with your shoes, wrap them in plastic, then wait 6-8 hours to wash them. Wash them and dry them seperately from your other clothes! 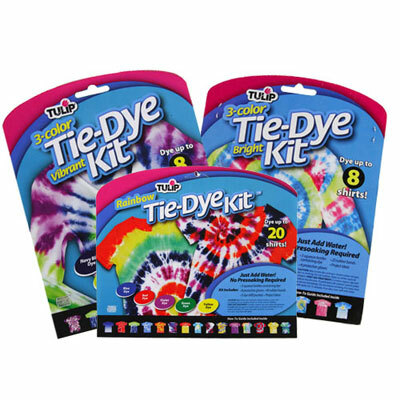 If you're looking for more fun tie dye ideas, click HERE for our Tie Dye Inspiration page!